In this cdkeys.com review, I will analyse the business strategies of the game key reseller, and find out whether is cdkeys legit or not. As it turns out, this question is not so easy to answer as I first thought. Why is Cdkeys so cheap? The world of third-party game key reselling, also known as the "gray market", is the modern wild-wild west. Fortunes are being made off of frauding, credit card stealing, and identity theft. However, Cdkeys' role in this is not nearly as insidious. Hugely popular websites such as G2A and Kinguin have seen plenty of bad publicity as a result of their business practices. But, despite this, they are still making millions in profits. Controversies surrounding the legitimacy of these online stores have caused many gamers to stay away from third-party key resellers altogether. After all, what honest individual would want to support fraudulent activities? This is where it’s time to introduce cdkeys.com into the story. Cdkeys has brought a breath of fresh air into the game key reselling industry. Unlike their competitors, they have been quietly serving their customers in the midst of all this chaos and controversy. G2A has taken the direction of advertising itself to the gaming audience through multi-million dollar marketing campaigns involving hundreds of influencers. They bring authoritative figures, such as Kripparrian and Trump, on their paychecks. And, through this, they advertise their services through shout-outs and sponsorings. This strategy has proven itself to be highly effective, as the name G2A rings a bell in almost every gamers mind. Cdkeys, however, has taken a different direction. Instead of sponsoring influencers, they have been focusing their efforts on securing low pricing and improving their services. Due to a lack of marketing efforts, little is known about the cdkeys platform. One quick look through Internet forums shows that plenty of questions remain about the legitimacy of cdkeys. It seems like the questions “is cdkeys legit?” and “is cdkeys a scam?” get asked almost daily. And, until now, there has been no clear answer anywhere. This is why we decided to create this comprehensive cdkeys review. Our aim is to shed some light on the sleeping giant in the third-party key reselling industry – cdkeys.com. Cdkeys.com is an online store where users can purchase game keys and gift cards. Cdkeys is owned by Omnyex E-Commerce, a wholesaler of digital products headquartered in Dubai. As their name would suggest. game cd keys are the main source of business for cdkeys.com. However, they also trade in various gift cards and top-ups. Many of cdkey.com’s competing websites like Kinguin and G2A also sell various software keys, such as Windows keys and Antivirus keys. However, cdkeys is still almost entirely focused on their specific niche – video game cd keys. They don’t sell in-game currencies, virtual skins, Windows keys, or anything of the sort. Cdkeys has its niche, and it’s sticking to it. There could be many reasons for cdkey’s unwillingness to enter the software key reselling industry. I would argue that the main reason is high competitiveness. The Windows key reselling industry is already flooded with suspiciously cheap offers. Mostly as a result of fraudulent and illegitimate key purchasing through credit card scams and theft. Let’s be honest, cdkey.com’s regional reselling strategy would likely not suffice in such a market. Therefore, they decided to stick to their guns and stay with game key selling. And, it’s probably for the best. If you do decide to purchase a third-party Windows key online, then take some precautions. I will not recommend any specific websites for Windows keys in this article, but there are plenty out there. The reason being I don’t trust any of them enough to give a genuine recommendation. In addition, it goes against Windows terms of service to purchase third-party keys. As a law journal, it would be against our principals to advertise illegal activity. For now, though, let’s focus on the topic at hand – what is cdkeys and how was it born? The domain cdkeys.com has changed hands more than once since the early 2000s. However, the website didn’t really take its current form until 2013. The year 2013 appears to be somewhat of a break-through point in the serial number reselling industry. The reason why I claim this is because it was also the same exact year when the two other major players, G2A and Kinguin, really started taking off. It’s difficult to pinpoint the exact reason why the year 2013 turned out to have such significance. However, it’s more than likely that the growing authority of the Steam platform in the early 2010s had something to do with it. At the time, the Steam platform was already turning the video game industry upside down. No longer were physical copies of video games the norm. Instead, customers were choosing with increasing frequency to purchase their games online. With this, cdkeys.com was set to reap the benefits of this change in purchasing attitude. Having cemented themselves as a trustworthy game key reselling platform, they had met all requirements to become a key player in the industry. Within a year of starting operations, the selection of products on cdkeys had already grown twofold. By the summer of 2014, they were not only trading in PC, PSN and Xbox Live platforms, but also in iTunes gift cards, Facebook gift cards and, of course, Steam gift cards. Since then, they have been slowly but surely expanding their product line. However, the main focus of cdkeys.com is, and likely always will be the same. That focus is, of course, game key reselling. The whole process (except the game installation) takes approximately 5 minutes to finish and it’s fully automated. It’s not necessary to communicate with customer support during any stage of the buying process. Overall, I am very impressed with the cdkeys.com user experience as a whole. It’s very simple to use, straight-forward, and effective. However, the only aspect which seems strange to me is the phone verification. I understand it’s necessary to verify a purchase in order to avoid identity theft. However, why is required only AFTER you have paid for your product? It might be nitpicking, but I think it should be standard practice all-round to verify important details before the payment process. Otherwise, if you run into problems with verification, you will have paid for the product, without having received the actual product you already paid for. The cdkeys customer service may be quick and effective in most cases, but it’s still a situation none of us would like to be involved in. It’s good that at least the phone verification takes a very short time. The automated system sends a verification code to your mobile, and once you type it into cdkeys.com, you’re all set to go. Once you hit “download”, you will find the scanned version of your key. Type the key into Steam or another platform, and you’re all done. The whole process is incredibly simple, provided nothing goes wrong. When you purchase a key from cdkeys, then you are buying from the cdkeys.com store itself, and not from another user. As it turns out, this is a very important detail. That is because, in the case of marketplaces such as G2A and Kinguin, you purchase keys from individual sellers and not a business entity. In the latter case, you always run the risk of purchasing a game key obtained through highly illegal methods from another user. Credit card fraud is a serious offense, and platforms such as G2A and Kinguin tend to serve as a nest for fraudulent activities. Even if they don’t directly partake in any illegal activity by themselves, it’s difficult to call them legit. Each time you purchase a game key from websites such as G2A and Kinguin you run the risk of supporting illegal activity, either directly or indirectly. Of course, you will never REALLY know where your purchased keys are coming from, even in the case of cdkeys.com. Purchasing a game key from a business entity and not an individual is considered trustworthy. However, even in this case, you are essentially placing your trust in the company. You are trusting them that the key was obtained through legitimate and lawful methods. In reality, however, it’s always possible that a stolen key made its way to the database of cdkeys, in one way or another. Unfortunately, this risk goes hand-in-hand with all third-party key resellers. Cdkeys may be the most legit out of all of the key resellers, but there is always some risk. It should be mentioned, though, that the risk of having your key revoked on cdkeys.com is significantly lower than the risk on illegitimate sites such as G2A and Kinguin. According to cdkeys themselves, their competitive price point is a result of thirty years of experience and a wide network of suppliers. They claim that they buy from all corners of the world and because of this, they can ensure the cheapest possible prices. Now, this might all be well and true, but what does it really mean? In reality, this means that cdkeys.com buys video games in bulk from cheap third-world countries. And, after that, they re-sell these same keys to customers in first-world countries at a higher price. Before you grab your pitchforks, let me give you some quick food for thought. Regional Reselling - is it Legit? It’s in the best interest of video game companies to adjust their prices for each country. Consumers in third-world countries would not be able to spend all of their savings to get their hands on a $60 copy of Call of Duty. They might, however, be willing to spend $30. Once a video game company has already finished the time-consuming and expensive process of developing of a game, it’s in their best interest to sell as many copies of the game as possible. Even if that means selling their products at a highly discounted price in some areas of the globe. After all, it costs a video game company next to nothing to put their product on a disk and ship it out to stores. Obviously, a $60 profit is preferable, but a $30 profit is also something they cannot afford to lose. Every penny counts in the corporate world, especially when investors are involved. In fact, when it comes to public companies, maximizing profits is not only ethical, but it’s required by law. Therefore, it should come as no surprise that this same strategy of price-adjusting has been used by major corporations for hundreds of years. Regional price differences allow resellers such as cdkeys.com to make a profit. In fact, their whole business strategy is based on taking advantage of regional price differences. This strategy might make cdkeys.com not seem very legit and ethical at first sight, but in reality, they are one of the most ethical gray-market traders out there. As I mentioned, it’s common practice in most major industries to reduce labor and manufacturing costs by taking advantage of regional price differences. Cdkeys.com is no different in regards to this. In fact, they even openly acknowledge their reselling business model on their Frequently Asked Questions section. Why cdkeys is so cheap, in their own words. Cdkeys is undoubtedly taking advantage of regional price differences, but they are doing it in a transparent and honest way. In my opinion, such commitment to transparency is a welcome sight in the third-party key reselling industry. I wish all gray-market companies were as transparent as cdkeys. If this was the case, there would be no gray-market at all. Illegitimate online stores would be seen for what they are – black market stores. And, at the same time, legit stores would be seen for what they are – trustworthy and safe. This leads us to our main question, which deserves an entire section of its own. It’s a simple question in itself, but it’s surprisingly difficult to answer. The question is, of course – is cdkeys legit? Cdkeys.com is legit in every meaning of the word. Both from a "working as intended" and "legality" type of perspective. In order to answer the question of whether or not cdkey is legit or not, we should first define “legit”. As a law journal, we would quickly define “legit” as “legal”. However, “legit” tends to also have a second meaning, which is “working as intended”. Therefore, we thought it would be best to consider whether cdkey’s legitimacy from two different standpoints. Firstly, I will consider cdkey’s legitimacy from a “working as intended” standpoint. And, after that, from a “legal” type of legitimacy standpoint. Legit as in "Working as intended"
If your definition of legit is that the keys you purchase for a cheap price on cdkeys.com will actually work as intended, then my answer to you is quick and simple – cdkeys.com is legit. 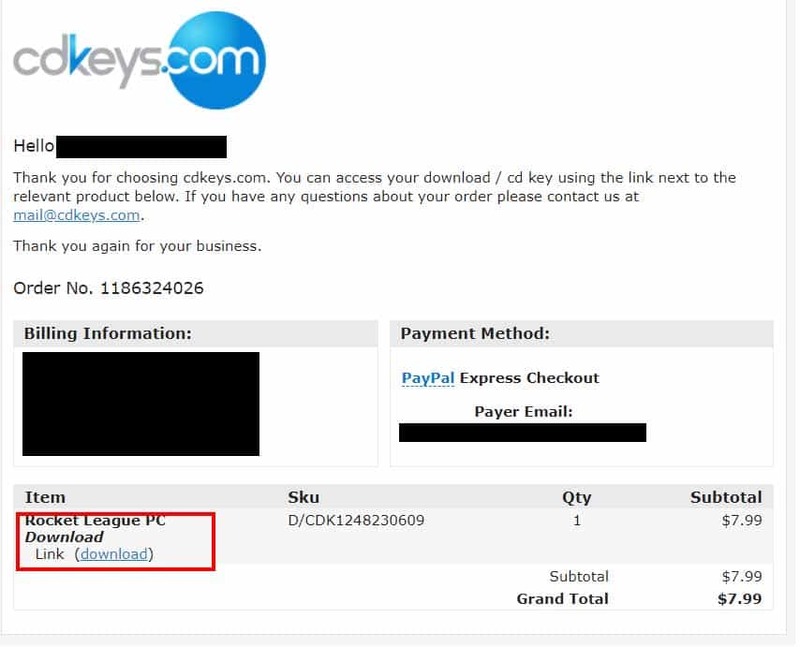 No other third-party key reseller has a reputation such as cdkeys.com, and the keys you will find on their website will almost always work without problems. Therefore, in terms of working as intended, cdkeys definitely is a legit, reliable and trustworthy platform. A quick look through the cdkeys reviews found online proves this point. They have a high rate of customer satisfaction and their online reputation is stellar. My personal experiences reflect the same as these online cdkey reviews. I have had nad no trouble whatsoever with revoked or expired keys. For me, the whole cdkeys platform has always been a legit and reliable way of getting game keys at a discounted price. If, however, your definition of legit is “legal”, then the question of whether cdkeys is legit becomes a bit more complicated. Firstly, I should mention that Cdkeys.com is registered as a place of business in the United Arab Emirates. As such, they belong to the jurisdiction of the United Arab Emirates and their legal legitimacy has to be viewed from an international perspective. Cdkeys essentially purchases tens of thousands of games in third-world countries, scans the keys and then sells the scanned versions in first-world countries. In doing this, they pay local taxes for all their game purchases, whichever country it may be. However, if they never import the physical copies of these games to the U.S, then the question arises whether they are paying import taxes to the United States. They may be importing just photos of scanned keys, but as a single scanned key can be worth $60 or more, it’s difficult to say whether these photos should be subject to import taxes or not. All in all, though, I have to say that cdkeys is more legally legitimate than almost every other third-party key reseller. They don’t trade stolen keys, they don’t buy out celebrities, and they state their business practices clearly on their website. In addition to being legit, the cdkeys.com platform is also amongst the safest in the gray-market area. Their keys are sold to you directly from the business entity itself, and not individual users. As I mentioned before, this does not guarantee 100% safety. However, it’s still considerably safer than open marketplaces. When you buy a key from an individual user on an open marketplace, you have no information on where the key is coming from. You will never know whether it was obtained through legal or illegal methods. And, as such, your key could be revoked at any time. It needs to be said, though, that there is still some risk involved, even on cdkeys. The Cdkeys terms and conditions clearly state that they “accept no refunds or returns”, and that they are “not responsible for any loss or damage resulting from lost or stolen programs or use without permission”. This means that you have no real guarantee or warranty for your purchase. If you want a 100% safe and risk-free purchase, then your only real option is to purchase retail. Whether or not purchasing from retail or from cdkeys is better, is up to you. You should decide whether the risk is worth it or not. For me personally, I think taking the risk by buying from cdkeys is, in many cases, justified. 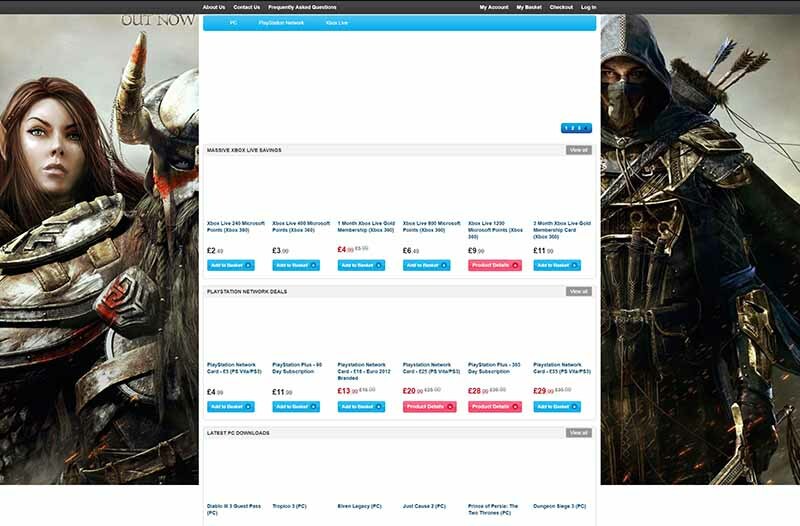 After all, the price differences between retail and cdkeys.com can be astounding. Coupled with the fact that I have never had any bad experiences on the cdkeys.com platform, it’s an easy “yes” for me to go with them. There may be some risk involved, but I have yet to see any negative results from taking this risk. The lack of refunds and returns on cdkeys.com is a non-problem for me as the keys sold by cdkeys tend to work without any issues. I have found cdkeys.com to be the most reliable and trustworthy out of all the gray-market online stores I have come across, and my overall experience with cdkeys.com has so far been stellar. I decided to take a look at various online reviews of cdkeys to get a more comprehensive overlook of its reputation and online reviews. My positive experience also seems to be mirrored online, as various cdkeys reviews I have found online have been overwhelmingly positive. Trustpilot, one of the most trustworthy websites in terms of finding website reviews, has given cdkeys.com a rating of “Excellent”, which is remarkable. To compare, Kinguin and G2A have considerably lower ratings on the platform. Besides Trustpilot, I took a look through Reddit posts, YouTube, and various online communities, to find any and all information I could about the trustworthiness of cdkeys. As is the case with any topic, opinions online tend to be mixed. However, the common consensus regarding cdkeys seems to be that it is the best website of its kind. Commenters in various Reddit threads have shared favorable experiences, and I could not find a single user who honestly thought they were scammed. There were some reports of people having trouble verifying their phone numbers. But, the large majority of customers seem to be satisfied with the service. There are even mentions online of people getting cdkeys refunds after having their keys revoked. A refund for a faulty product may sound natural to most of you, but it’s actually surprising in this case. That is because returns and refunds go against the terms of service of cdkeys. Breaking their own terms of service to help customers is certainly a welcome sight amongst e-commerce stores, but I don’t expect to see it all too often. Conclusion - Is Cdkeys Legit or Scam? Is cdkeys legit? Yes. No question about it. They are a reliable and trustworthy platform for finding cheap game keys. If you have no problems with going gray-market with your game purchases, you might as well go with cdkeys.com. As is the case with any third-party key reseller, you still run a risk with every purchase. However, compared to the other two giants G2A and Kinguin, they are a far safer and more legit choice. They state their business practices clearly on their website, and they don’t allow random users to sell keys. If they were a marketplace where users sell to each other, I wouldn’t even consider recommending them to my readers. However, in the case of cdkeys, I can comfortably say that they are a safe and legit platform. If you want to take advantage of their cheap game key prices, then I can recommend cdkeys to you as a genuinely legit, safe and trustworthy platform. I have had nothing but positive experiences with them, and my online research showed that many others share my experiences. In an online world full of black market stores masquerading as gray-market stores, cdkeys stands out for its transparency and legitimacy. If you have any personal experiences with cdkeys, or any other third-party key resellers, which you would like to share, then leave a comment. We would be happy to feature your stories in our journal.